Andrew was one of the composers-in-residence at the 8th annual Gravissimo! 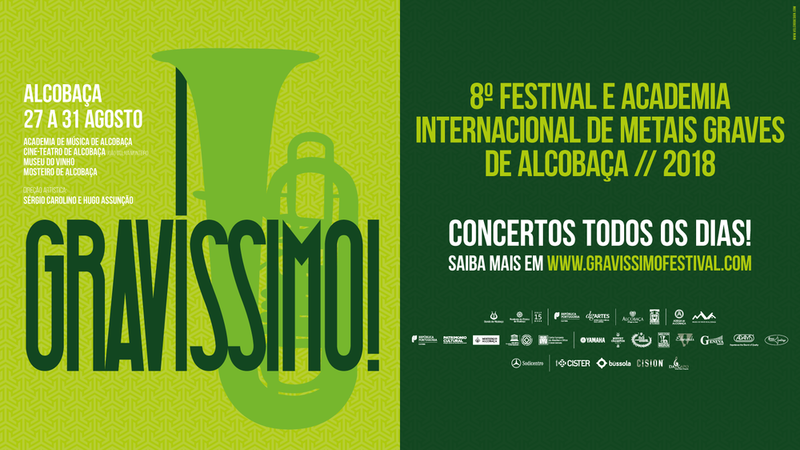 low brass festival in Alcobaça, Portugal. Curated by Sérgio Carolino and Hugo Assunção, the festival involved many performances, workshops, and lectures. Sérgio has been an active supporter of Andrew's music, and contemporary brass compositions by many composers around the world. The Mosteiro de Santa Maria de Alcobaça was the perfect setting for the music, set amid the artistic heart of an ancient town near the Atlantic beaches. Other resident composers included Telmo Marques, and American Mike Forbes.